Luke W. O’Bannan focuses his practice on litigation. 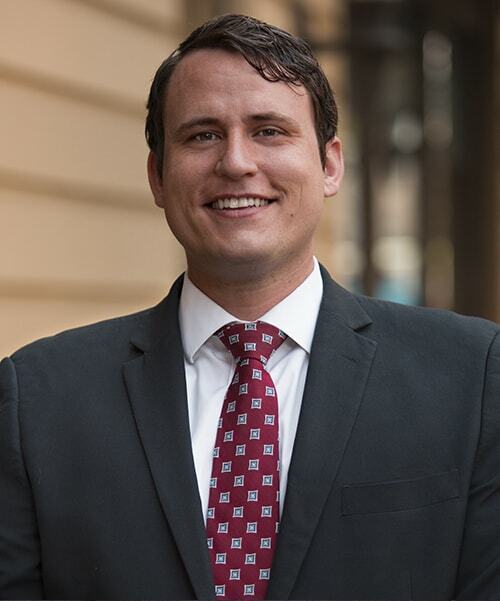 During law school, Luke competed in moot court, tutored civil procedure, volunteered with the student government, and interned in Washington trial and appellate courts. Luke also clerked for the U.S. Attorney’s Office for the Eastern District of Washington where he litigated criminal and civil cases in the District Court and Ninth Circuit Court of Appeals. Following law school, Luke clerked at Division III of the Washington State Court of Appeals for the Honorable Chief Judge George Fearing. Raised in Spokane, Luke is glad to serve the Inland Northwest and settle here with his family. Luke is a devoted father and husband who enjoys spending time with his family, playing strategy games, and volunteering with his church.